January is my favorite time to cook! My pantry is stocked, the root cellar full, and the weather most inviting to throw more wood on the stove and cook. There is something so comforting and basic about a soup simmering on the hearth…or bread baking in the oven. With the ever-changing winter landscape out my window, I’m content to spend hours in the kitchen, researching Maine foods and developing new recipes. This month we share with you two products that we make exclusively for our expanded family and friends. Black Bean Salsa is a favorite, but a labor-intensive product, that takes careful planning to be sure to capture the sweet corn harvest. The apple juice from Barbour Farm is a Maine product we dedicated localvores drink everyone morning instead of Florida orange juice. Building a Maine food system takes persistence, time and patience. And it takes dedicated folks like you. Thanks so much for supporting Maine agriculture! Black Bean Salsa: We continue to attempt to cultivate sweet corn here at Rabbit Hill, but now that the raccoons have discovered us, it may be a lost cause. Fortunately, other farmers have better luck, and before the season ended, we purchased 120 ears, shucked and cooked them, and froze the kernels. In late December, Horsepower Farm in Penobscot had their black turtle beans thrashed for us. The beans were slowly cooked, then brined with the corn in a lime and vinegar mixture. We then added chopped onions and garlic, cilantro puree, tomato sauce and jalapeno peppers to create this salsa. Delicious as a dip, or combined to make tacos or enchiladas, our “family” loves this sauce. Barbour Farm Apple Juice: This was a good year for the orchard, and we are happy to share this juice. Unfiltered and unsweetened, we enjoy it for breakfast and as a universal beverage. Picture this: 30,000 school children enjoying Maine apple juice every morning instead of supporting Florida agriculture! It can happen; almost 50% of Maine’s apple crop is left on the trees every year because the markets don’t exist. They do! Spread the word and drink Maine! Jar Returns: Yes! We can and do reuse and recycle jars and boxes. The shiny labels will peel off quite easily if they do not get wet. So peel, and then wash. Please leave boxes and jars at your CSA pick-up location. Thanks to you folks, we have recycled and reused over 1000 jars! Go team! Recipes for Food Service: Does your school need some local Maine recipes? Does your church group want to cook with more Maine foods? 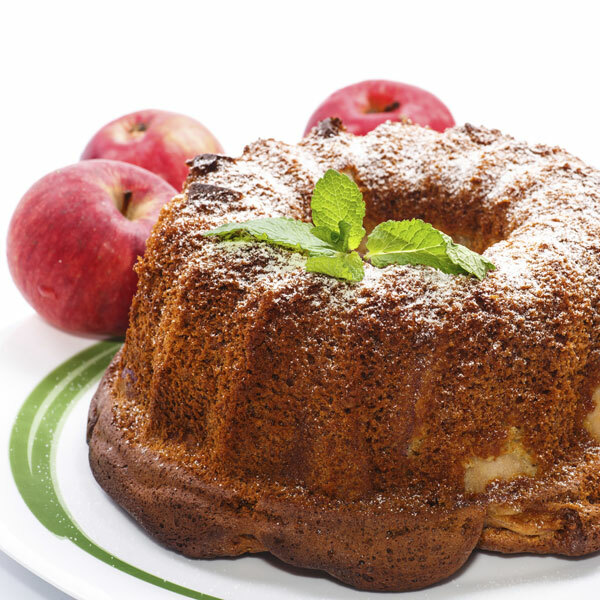 Many of our recipes are available in food service quantities. Need help sourcing ingredients? Let me know. Plus, I cook for 240 folks every month, so there are lots more fun things on the way! Check out our website for Dinner is Served menu ideas and more recipes. Please shoot me an e-mail. I’m here to help get more Maine foods on Maine plates. 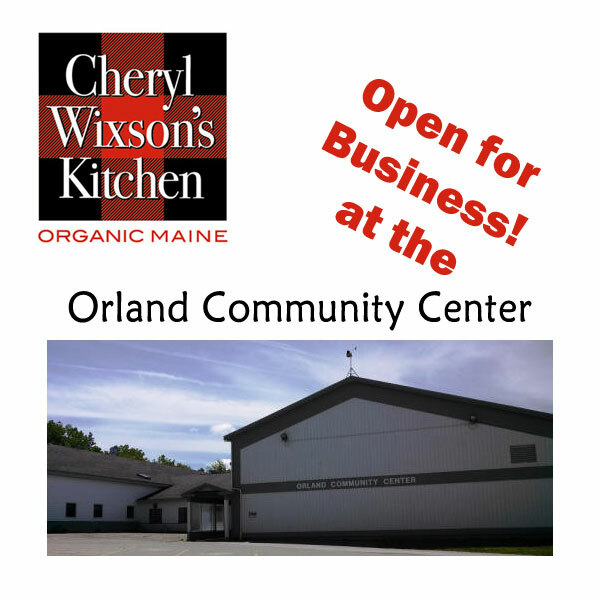 Production Capacity: We have moved most of our production to the Orland Community Center. Once an elementary school preparing meals for 240 children, this facility is clean, efficient, and stable. We are slowly getting our “land legs” again and plan to be able to increase production modestly and profitably. Thanks for your support! This is a rich, dense and moist cake that needs no frosting. Just dust with powdered sugar or top with a lemon glaze. In a large bowl, whisk together the flour, baking soda, spices and sugar. Stir in the grated carrots, coconut and dried fruit. In a medium bowl, beat together the eggs, canola oil, vanilla and applesauce. Add to the dried mixture, stirring just to combine. Spoon into the pan and bake until a toothpick comes out clean, about 45 – 50 minutes. Let cool on a rack and cut into 24 pieces. Nutritional analysis per serving: 184 calories, 3.3 grams protein, 29 grams carbohydrates, 159 mg. sodium, 3 grams fiber. These hearty quesadillas are a riff on chicken Parmesan. 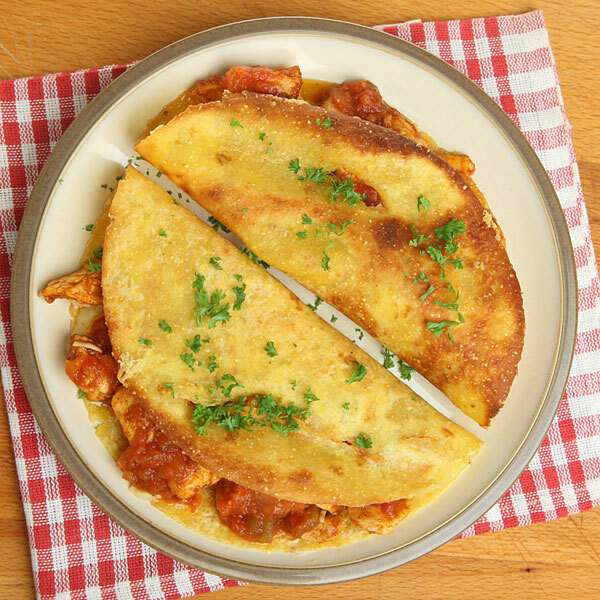 A snap to make, enjoy Chicken Parmesan Quesadillas with plenty of Classic Marinara sauce for dipping. Over medium heat, prepare a large fry pan or griddle large enough to accommodate grilling a 10-inch flour tortilla. In a medium fry pan, heat the olive oil. Add the onion and peppers and cook until they start to soften. Stir in the cooked chicken and 1 cup Classic Marinara Pasta & Pizza Sauce. Set aside. Working quickly, heat one side on the flour tortilla, then flip over and spread 1⁄4 of the chicken mixture over the tortilla. Sprinkle with 1 tablespoon of cheddar cheese and 1 tablespoon of Parmesan cheese. Gently fold in half, and continue cooking and turning until the filling is hot and cheese is melted. Continue with each tortilla. Tortillas may be kept warm in a 200-degree oven before serving. To serve, cut each quesadilla into wedges and serve with heated Classic Marinara Sauce for dipping. Nutritional analysis per serving: 460 calories, 30 grams protein, 54 grams carbohydrates, 14 grams fat, 350 mg. sodium, 6 grams fiber. In a large bowl, combine the shredded cabbage, grated carrots and turnip. Mix with the Creamy Dill & Feta Dressing. Just before serving, top with the toasted sunflower seeds. To toast sunflower seeds: toast in a 350 degree oven on a sheet pan for about 5 minutes until they just start to brown. Or place seeds in a small, dry skillet over medium heat. Shake the pan frequently and toast until the seeds just start to brown, about 5 minutes. Be careful not to scorch as the seeds will become bitter. 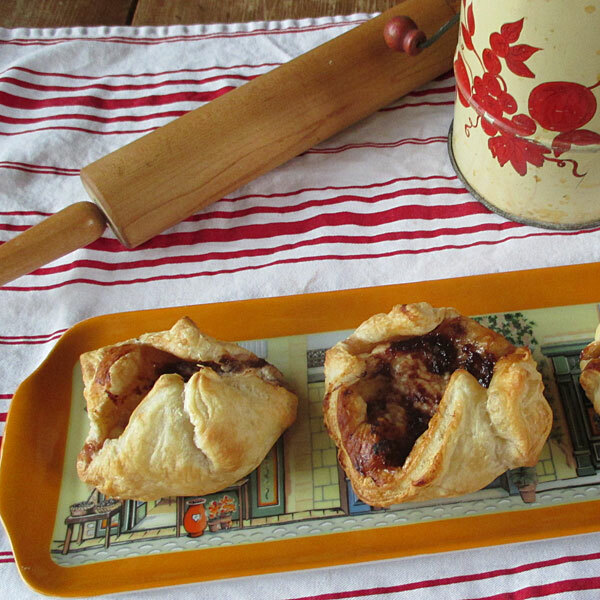 These are a snap to prepare with commercial Danish dough. Enjoy for brunch, or a festive coffee. Allow the puff pastry to come to room temperature. Cut the puff pastry into eight squares. Divide the goat cheese or cream cheese among the puff pastry squares and spread evenly. Spoon a tablespoon of fruit preserve over the goat cheese. Fold the corners and edges of the puff pastry together. Place on a cookie sheet and bake in the oven until golden brown, about 20 minutes. Cool on a rack. The perfect bread for an elegant breakfast, Enjoy with your favorite omelet. Preheat the oven to 400 degrees. Melt one-tablespoon butter in a heavy cast iron skillet and grease the pan. Prepare the corn bread, adding the sugar, lemon zest and wild Maine blueberries. Spoon into the pan and bake until a toothpick comes out clean, about 15 – 20 minutes. Carefully remove from pan and cut into wedges. Makes eight generous servings. * You can make your own cornbread with 2 cups finely ground corn, 3 tablespoons baking powder, ½ teaspoon salt, 2 tablespoons sugar, 3 tablespoons melted butter, 1 egg, and 1-cup milk.